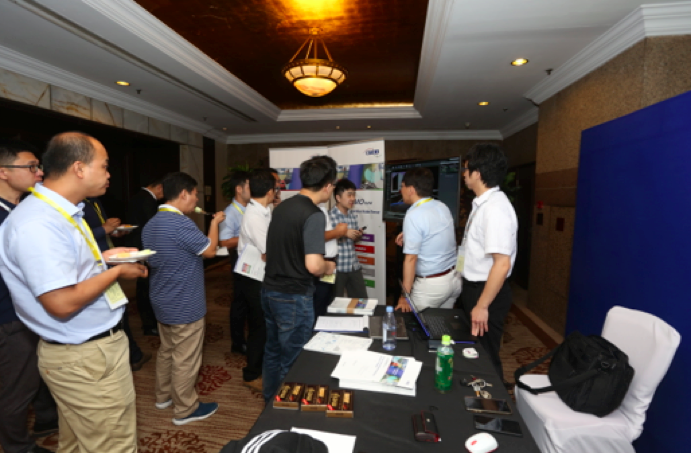 28th - 29th June, “The China Autonomous Driving Testing Technology Innovation Conference 2018” organized by Genesis Resourcing Consulting China successfully held in Shanghai. This conference has gathered worldwide autonomous driving testing leading companies including Audi, Daimler, Saic Motor, Chang An Auto, Continental Automotive, TRW, 3M, Konrad Technologies, AImotive, OTSL etc. together to discuss the industry development policies trends, laws and regulation reading, global autonomous driving testing case studies, and the latest technologies developing key issues. 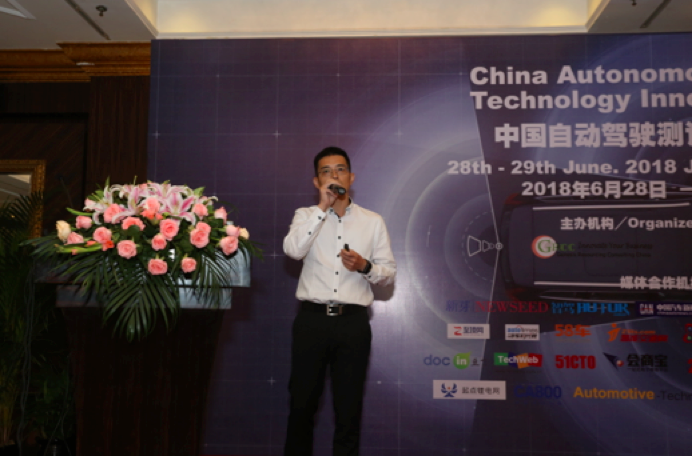 During the conference, Mr. Cedric Huang, the Technical Manager, Transportation Safety Division of 3M gave a keynote presentation on the topic of “Intelligent Network Road Helps Intelligent Transportation Facilities”. Mr. Huang introduced 3M’s roadmap of traffic safety innovation, looked to the future development of intelligent connected vehicles and 3M’ intelligent connected vehicle traffic technologies etc. In his presentation Mr. Huang indicated that to cope with upcoming intelligent connected vehicle era, the development of traffic infrastructure change is a must. The realization of V2X will depend on the standardization of next generation traffic infrastructure and sensors parts; in the real traffic scenario, enough traffic information redundancy is the key of realizing autonomous driving; to fulfill the above requirement, 3M is actively develop related solutions. Since 1939, 3M has been providing solutions for the traffic safety industry and leading the technological innovation and progress of traffic safety related products. In the autonomous vehicle era, road infrastructure, such as signage, is as important as artificial intelligence, providing data infrastructure and safety redundancy for autonomous vehicles. 3M cooperates extensively with industry players and actively participates in autonomous vehicles testing in closed trial testbed and open roads to provide traffic safety solutions that meet the times and technical requirements. 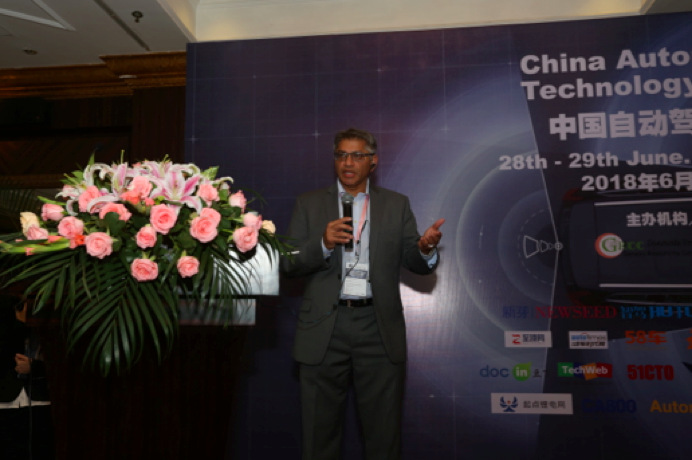 Also in the conference Mr. Ram Mirwani, the Director of Global Business Development ADAS of Konrad Technologies talked about the Combine Sensor Fusion HIL with Measurement Based Tests to Meet the Test Challenges for Autonomous Driving. As Automated Driver Assistance Systems (ADAS) functionality increase in design complexity to edge us closer towards autonomous driving (AD) capabilities, their test routines have evolved from simple to complex test protocols in order to verify functional performance of the sensors themselves AND the ADAS use case. The combined use of scenario-based Sensor Fusion HIL testing methodology and relevant measurements can effectively verify functional performance of the ADAS sensors in their application use case environment for Autonomous Driving capability. 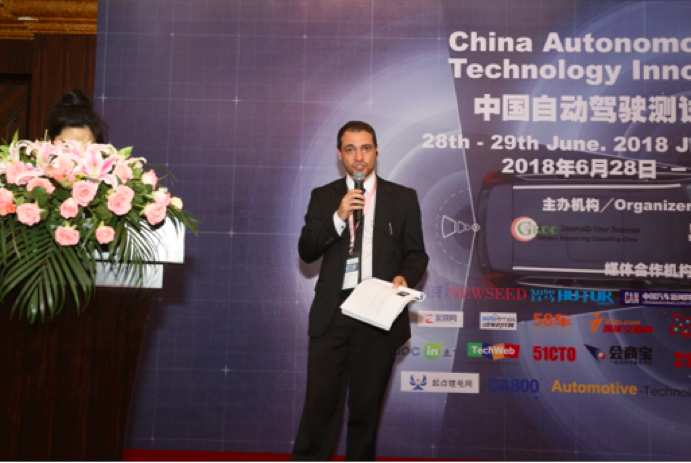 In Mr. Mirwani’presentation, he shared a synopsis of the evolving requirements for ADAS and AD test and how combining Sensor Fusion HIL with measurement-based test can raise the quality of test for Autonomous driving capability while lowering the overall cost of test. In addition, Mr. Tamas Csizmadia, the Head of Safety and Compliance of AImotive introduced the Requirements Development with Simulator-based Validation. Advanced simulation technology has several uses in the development of self-driving technology. When designed and implemented properly virtual testing not only accelerates development but serves as a vital safety barrier before real world testing. While a simulator cannot replace real world testing completely the structured creation and recreation of real-world situations allows development teams to concentrate tests on meaningful kilometers, instead of often boring real world tests. To enable self-driving technology that is ready to scale for global use AImotive has developed aiSim, a photorealistic simulator for self-driving development. In Mr. Csizmadia’s presentation, he introduced the key points of simulated testing and how it can be used to validate solutions to make self-driving cars a reality faster, more efficiently and safely. In the conference exhibition area, OTSL Company showed its Advanced LIDAR Simulator (ALR), The Real-Time LIDAR Simulator (300fps over) using high precision 3D CG MAP and features with various LIDAR support (Mechanical Scan/MEMS/Flash); dedicated 3D CG MAP (accuracy is less than 2mm) with Laser reflectivity and simultaneous simulation with Multiple LIDAR; together with its Advanced Millimeter Wave Radar Simulator (AMMWR), that is the world’s first Millimeter Wave Radar Simulator using High Precision 3D CG MAP technologies attracted a great interests of the conference delegates. provided an effective way of thinking for the future autonomous driving technology development route through vivid subjects setting, addressing the key concerns of the current autonomous driving testing problems and the interpretation of relevant laws and regulations. Combined with the actual simulation and road test cases, the problems and summaries of current autonomous driving are analyzed. The conference has provided an effective platform for the information exchange and cooperation of industry development.